If you know me, you know I don't often wear a lot of color. I love color, but typically stick to neutrals when it comes to my clothing. 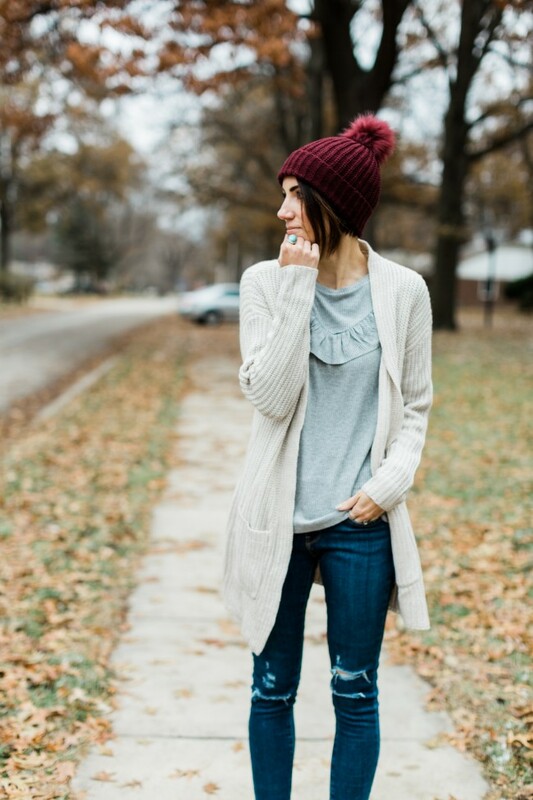 If I wear color, I tend to keep it to one color and either go all out, or pair it with a bunch of neutrals. 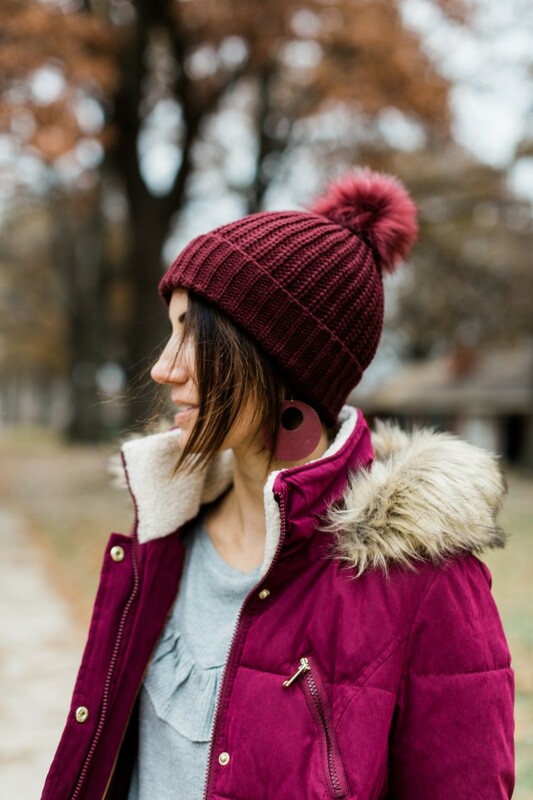 Today I've got a pretty monochromatic burgundy look that is perfect for the holidays and really just Winter in general. The good news is that this whole look is from JCPenney, so it's affordable too! 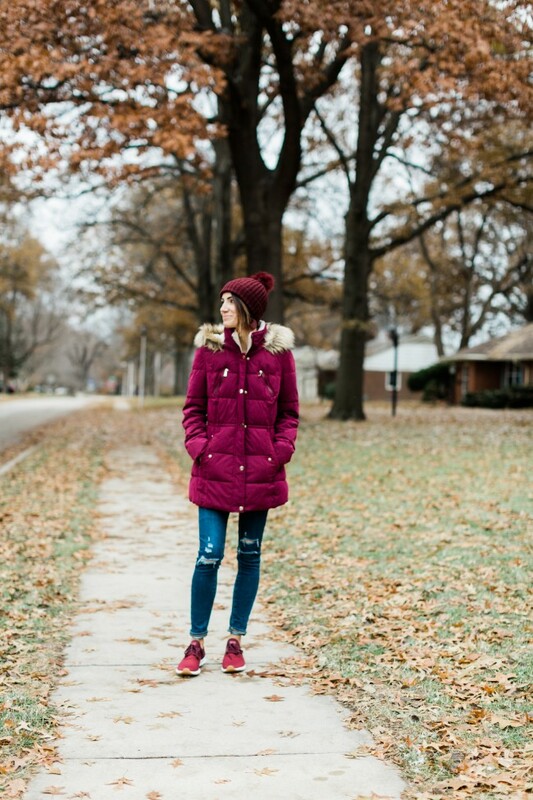 The hardest part about feeling cute in the Winter is the coat situation. 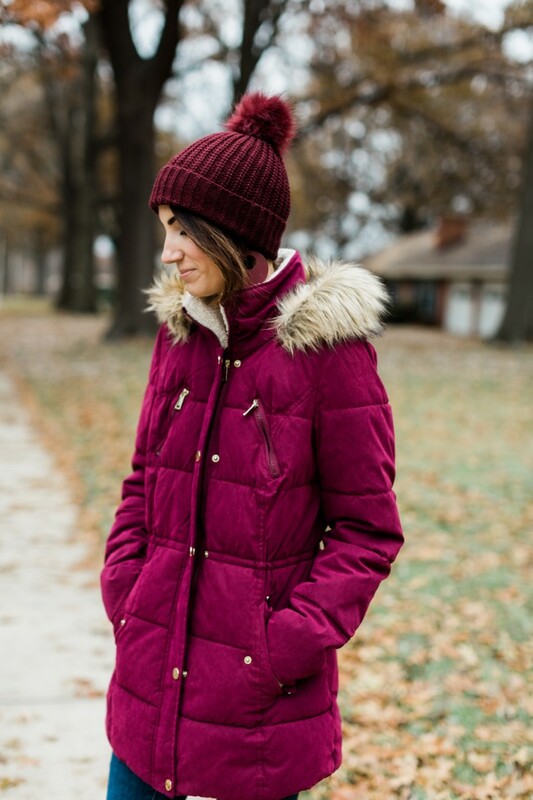 Every outfit gets covered up with a coat, so a cute coat is pretty darn important. 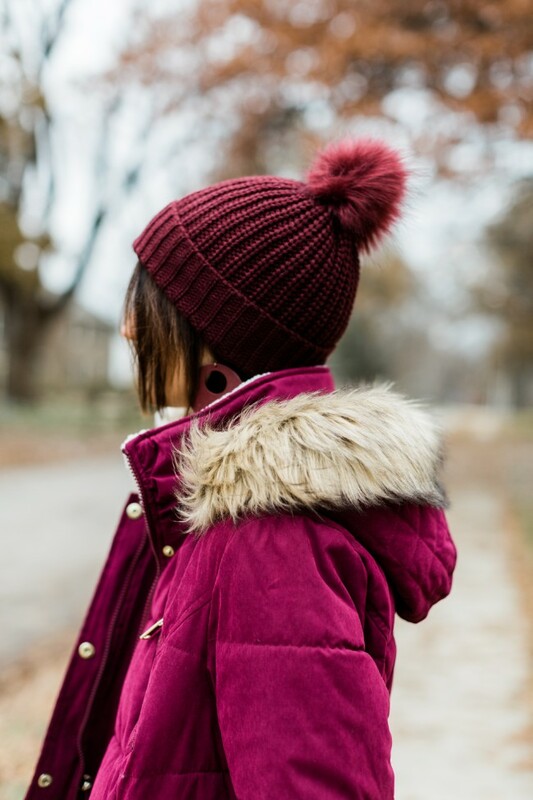 I love the color of this maroon coat, and it also comes in several other pretty colors. I almost grabbed the navy, but this wine color really stood out. I also ordered this camo coat. It's really cool and has a really furry hood. I have both coats in size small and they fit TTS or a little big on me. A cute hat also helps in the cold temps. 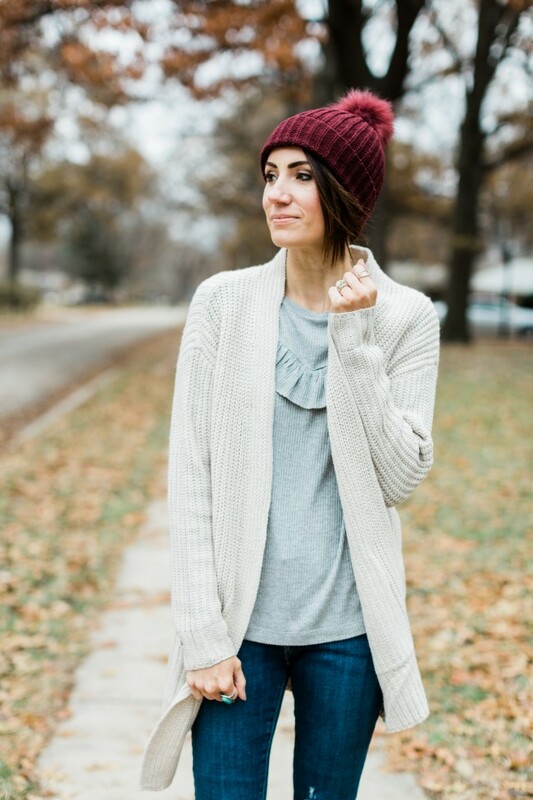 This beanie is only $10 and pairs perfectly with a red coat like mine or a neutral gray or beige. I've been wearing beanies non-stop lately and I don't even worry about the hat hair. I just leave the hat on like it's part of my outfit when I'm inside or outside. I have these sneakers in green too and I love them so much. They are so lightweight, comfortable and cute too. This red color is gorgeous. They fit a little small so I recommend going up half size. 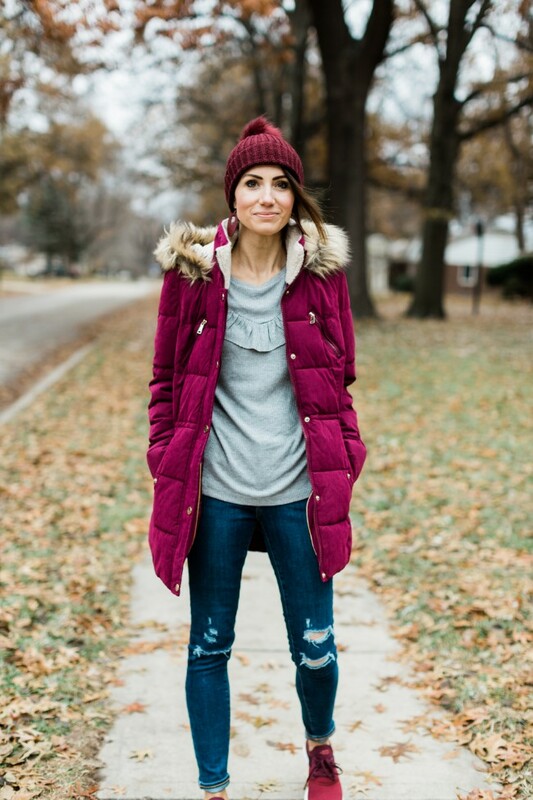 This entire outfit, the shoes, the jeans, the sweater, coat and hat are all from JC Penny. I got out of the house last weekend and spent a few hours combing the store to find my favorites in style and quality that are in-stock now. I've linked a bunch of my faves below. I know many of you have asked for more affordable options that still fit my style, and JCPenney is a great place for that. 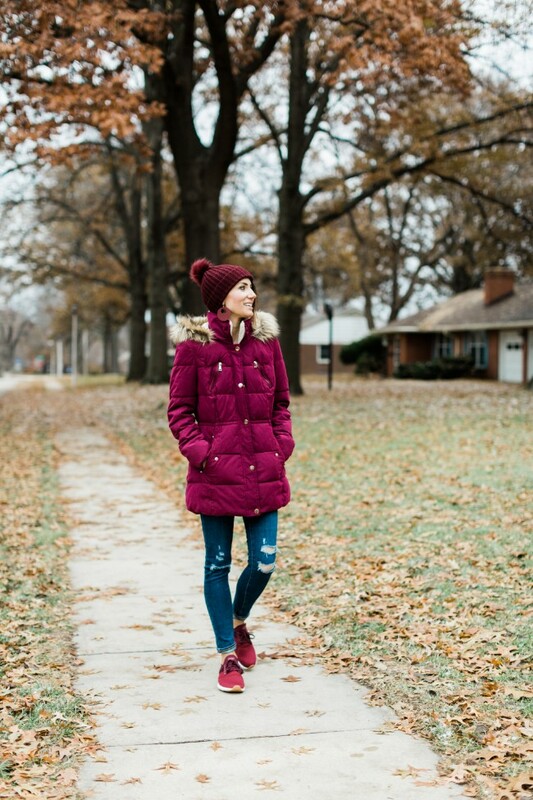 Have you found a cute coat this season yet? Are you on the beanie train?